"Very pleased with your company, can not say enough about your install crew Rudy,Moises,Clive. They called ahead of time ,showed..."
Very pleased with your company, can not say enough about your install crew Rudy,Moises,Clive. They called ahead of time ,showed up on time , answered any questions I had, worked hard all day, and cleaned up. Very friendly and spoke highly of your company. Just want to say keep up the good work! We were exceptionally pleased with Dr. Energy Saver of Connecticut, right from the signing of the contract with Greg Lock to the final installation. Rudy, Clive, and Moises could not have been nicer and more concerned, working diligently to make sure their job was done. The production coordinator, Traci, did an exceptional job with answering all of my questions and concerns. Although the project was invasive, it still ended up being a good experience! Moises is an exemplary employee who works hard to make homes more comfortable and energy efficient for homeowners. Previously, Moises has worked with our parent company Connecticut Basement Systems, where he had been waterproofing basements. He used his experience to join the Dr. Energy Saver CT and now enjoys helping homeowners solve their home comfort problems! Dr. Energy Saver of CT is the home office for the Dr. Energy Saver National Contractor Network, a group of the best energy conservation contractors in the nation. 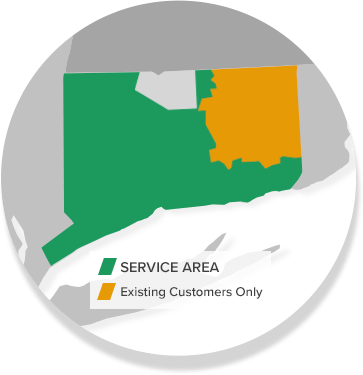 Each dealer has exclusive access to unique products, comprehensive training, and ongoing support through the national company - based right here in Connecticut! In his spare time, Moises enjoys going to church, watching soccer and listening to music. He has 4 children and lives in Bridgeport.